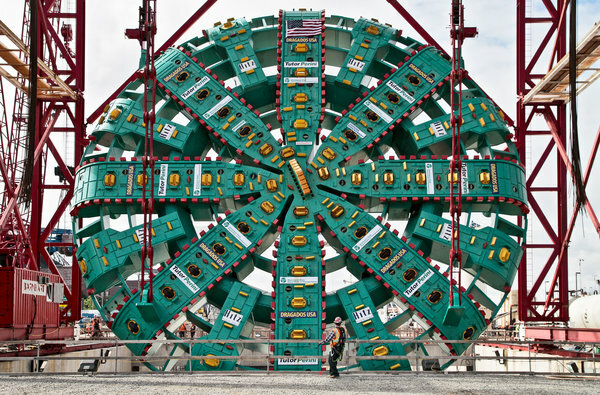 In October, workers walked through the first rings of the highway tunnel being built under Seattle’s waterfront toward the boring machine called Bertha. 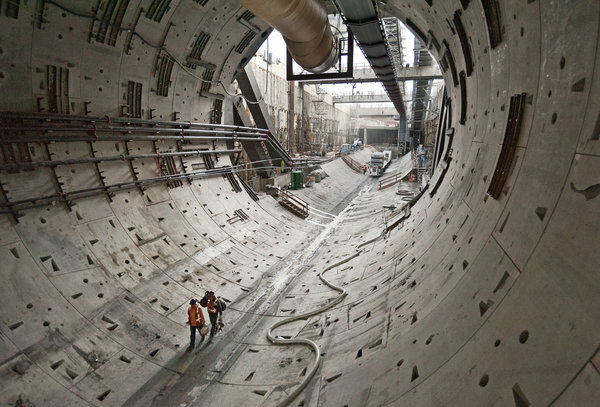 SEATTLE — A secret subterranean heart, tinged with mystery and myth, beats beneath the streets in many of the world’s great cities. Tourists seek out the catacombs of Rome, the sewers of Paris and the subway tunnels of New York. Some people believe a den of interstellar aliens lurks beneath Denver International Airport. 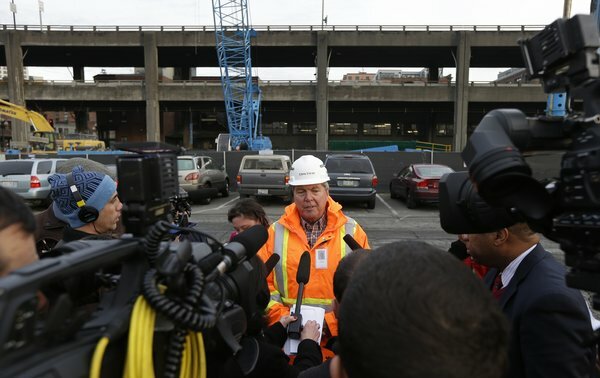 Chris Dixon, a manager with the Seattle tunnel project, briefed reporters last week on the stalled Bertha. 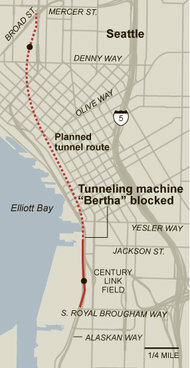 Bertha in May, before it was lowered underground to start digging.